It seems that nearly every week we hear about a new startup securing millions in funding. Last spring (2nd quarter 2015) venture capitalists contributed $17.5 billion in investments, close to the highest level since 2000 (and we know what happened back then). But for now, the money is pouring in. Many West coast cities like San Francisco, Los Angeles, and Seattle are experiencing both the positive and unintended consequences of that growth. Now Y Combinator, the investment firm/incubator based in Mountain View, California with investments in high-profile companies like Airbnb, Dropbox, Instacart, and Reddit, has plans to go into the construction business. 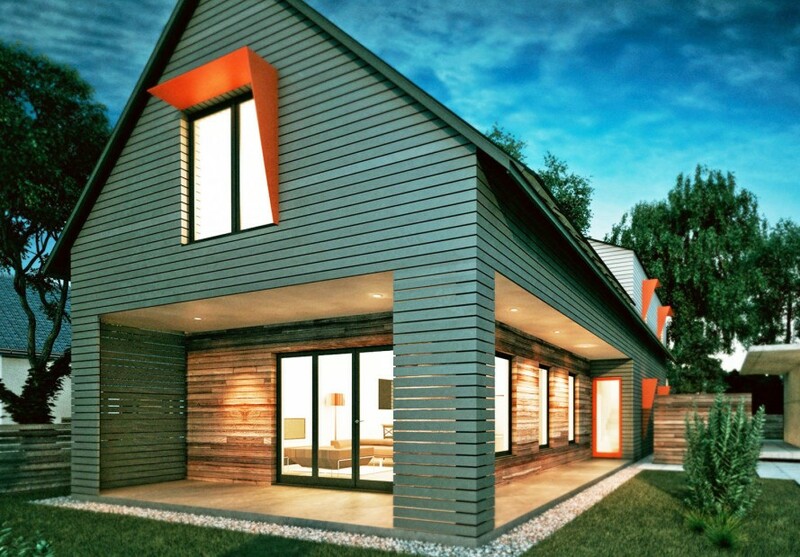 The company is backing a design-build firm, Acre Designs, that specializes in net-zero energy home kits. 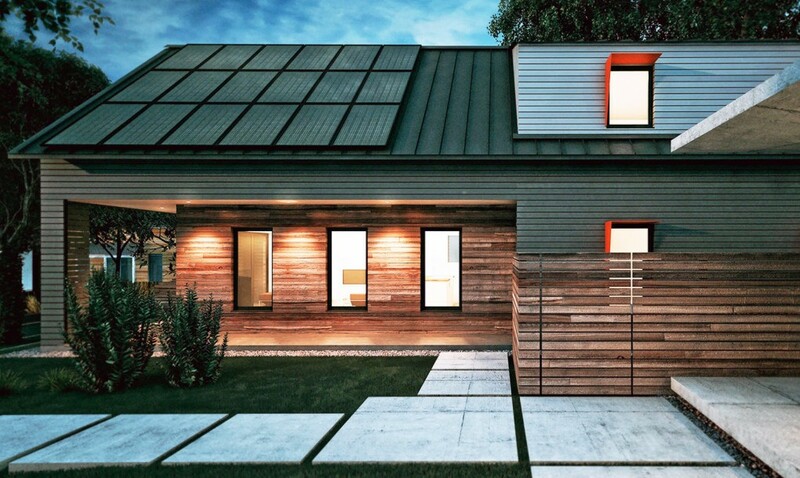 Acre Designs is seeking to break into the market and ride new net zero laws in California. In revisions to Title 24 last summer, the state mandated that all new residences (including single family, under three-story multifamily, and low income) meet net zero energy requirements by 2020. Commercial buildings must do the same by 2030. The California Energy Commission and the California Public Utilities Commission define net zero as energy-neutral buildings whose energy production is equal to energy consumption over the course of a year. There’s a small-but-important detail in Title 24: the homes can be net-zero energy ready—not necessarily achieving net-zero energy levels—by 2020. 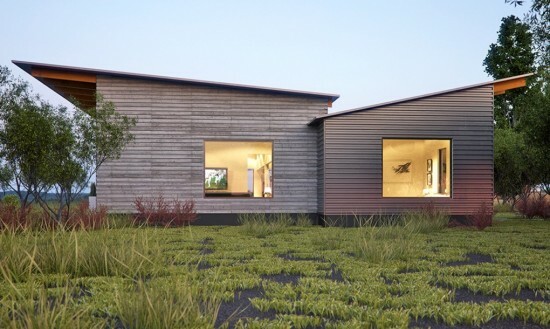 The cost for Acre Design’s houses is not cheap. Prices hover around $277-$333 per square foot but this includes construction and features such as solar panels and appliances. The firm is also giving discounts to people who rent their home for more than 50 days on Airbnb. 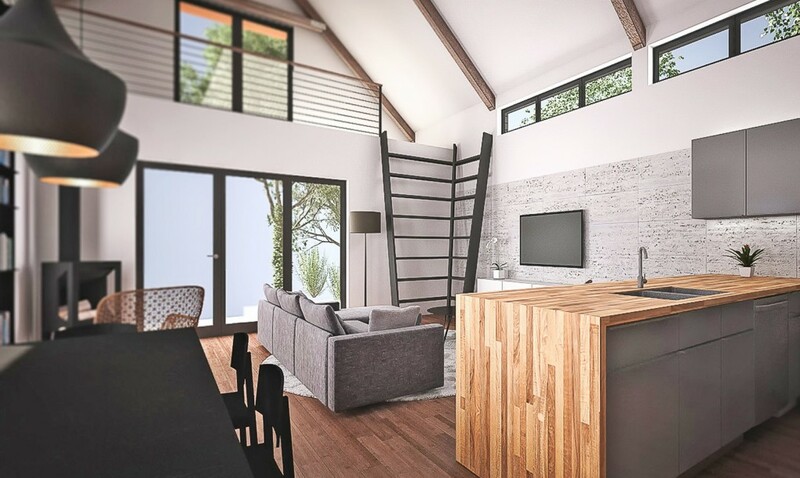 The company is planning its first home/vacation rental hybrid for a client in Cannon Beach, Oregon. There are three size options: small (2 bedrooms, 1,200 square feet, $400K), medium (3 bedrooms, 1,500 square feet, $450k), and large (4 bedrooms, 1,800 square feet, $500k). There are also two design variants: a house with a more traditional pitched roof and a second, midcentury modern-inspired version that sports a butterfly roof. Once the foundation is ready, construction can take up to three months. It will be interesting to see how the California net-zero mandate, and the companies that fill the void, plays out. For now, we can wait and hope that reducing energy consumption is also considered in the ways people get to, and from, these homes.